There’s nothing more magical than a lit fire on a cold winters evening don’t you think? And whilst we don’t rely on them solely for heating with underfloor or central heating being the mainstay in our homes, you can’t beat them for providing visual comfort. A place to gather with the family and unwind, there’s nothing more soothing and relaxing than sitting in front of a fireplace with the flames flickering and the lights dimmed. From an interiors point of view, they’re great at providing our living spaces with a necessary focal point. A place for family photos, treasured mementoes and favoured accessories. You could, and I’m sure some of you do, spend hours faffing with them too. 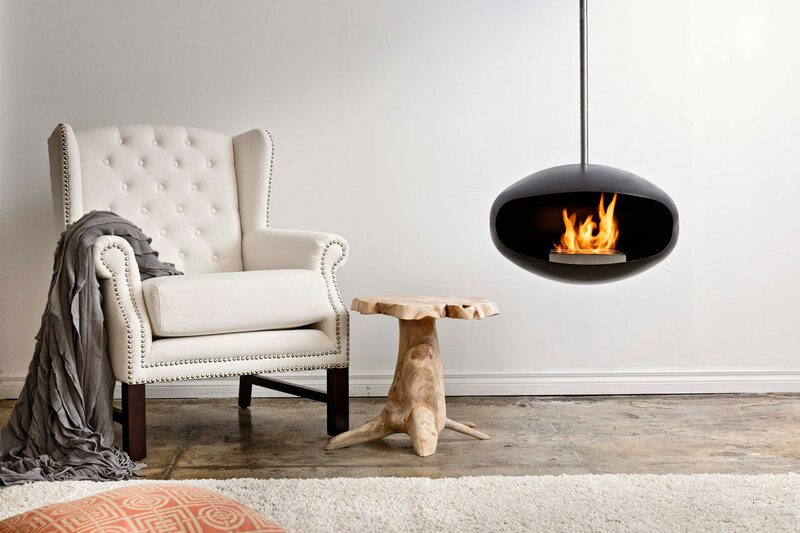 Today we are looking at alternative eco-friendly Bioethanol fires. My brother actually instigated this post after a chat this weekend asking if I’d do some research for him. He currently has a blocked up fireplace in his living room and was thinking of opening it up. His dilemma was that he also want to remove the chimney in their home at some point which rules out traditional fireplaces. I thought I’d share with you my findings as you might find yourself in a similar situation or are in need/process of updating your living room space. What is A Bioethanol Fire & Why You Might Consider? So you’re probably wondering what an earth Bioethanol fireplace is and why you would even consider buying one. One of the main reasons behind this increasingly popular type of fire is that you don’t need to have a chimney or have it connected to a fuel source which makes installation straightforward and cost-effective way of introducing a fire if you don’t already have one. Another important aspect if you’re keen on living green, bioethanol fires are an environmentally friendly alternative to more traditional fires such as wood-burning stoves. 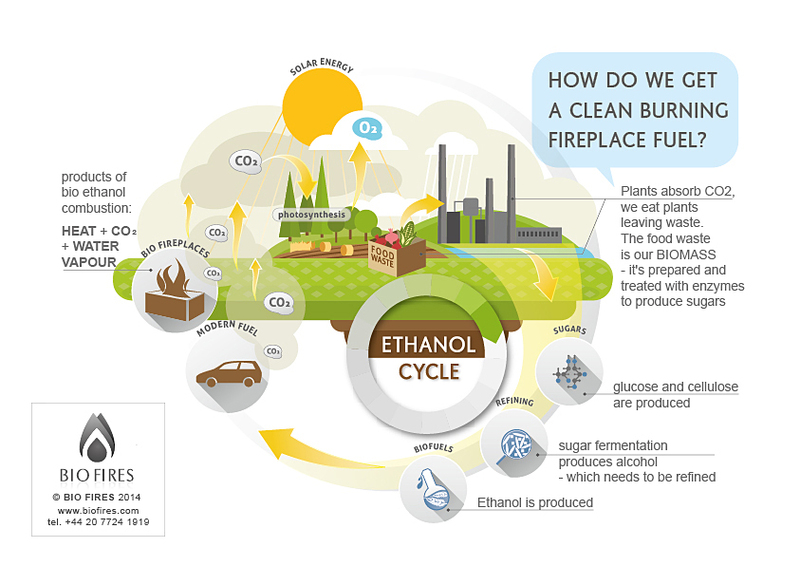 Bioethanol is a clean eco-friendly fuel. It’s produced by the fermentation of vegetable matter rather than fossil fuels such as gas or coal. It’s seen as a sustainable and renewable fuel source and as the Mayor of London has imposed that log burning stoves should be banned in London by 2020, you might want to look at this alternative fireplace source for your homes. Bioethanol burns cleanly producing no fumes or smoke and also produces far lower levels of carbon. They’re also perfect for rentals where you have imposed covenants. When you move you can take it with you too! 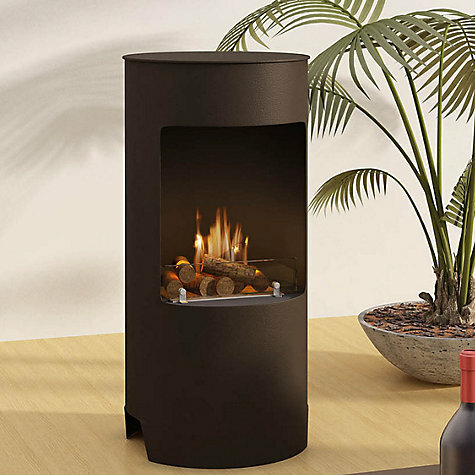 Or maybe you live in a new build where chimneys are non-existent, a bioethanol fire could be an ideal choice. Wall mounted models are as simple as installing a flatscreen TV on a bracket. Whilst built-in options aren’t going to cause you or your builder any headaches as most companies will advise and work with you on how to install and the best choice of fire for your type of installation. It really is just a matter of pouring the bioethanol liquid into the burner and lighting the fuel with a lighter and they are easily distinguished. I’ve included a video above by Imaginfires to show just how easy they are to use. Besides the simple installation, ease of use is also considered one of the key benefits of bioethanol fireplaces. Unlike traditional natural fires they produce no soot or smoke and as a result, there’s no cleaning up of ashes. With no chimney or flue to maintain, you’ll be saving money on having them swept. There’s also no servicing required unlike gas or electric fires. Saving you time and money. They give real flames & produce a good amount of heat although the choice of model will dictate how much heat a room will receive. It’s advisable to discuss this before purchasing so your needs are fulfilled. The larger the burner the more fuel it is likely to use so you may want to bear this in mind when deciding on a model. It’s hard to determine in general the running costs of a bioethanol fire as the variance on the model you choose determines how much bioethanol is consumed. Although choosing a fire that has an adjustable flame and heat output provides you with the choice of how much you use and can help with the running costs. TIP: Check to see how much bioethanol is required for the model you wish to purchase. Finally, there are some factors that you’ll need to take into consideration as with any fire whether its bioethanol or a more traditional coal/wood burning one. You need to air the room. Just as with candles, flames from a bioethanol fire will consume some oxygen in the room so it’s good practice to allow fresh air into it. It’s recommended to open a window for a few minutes after burning a bioethanol fire for a few hours. It’s good to check with your supplier the appropriate size fire for your room to avoid any problems with oxygen consumption. With the freedom to place a bioethanol fire anywhere in your home, you still need to adhere to safety measures. Don’t place them near draughts such as doorways, windows or busy areas within your home where they’re likely to be bumped into. If you have children, you need to make them aware of the dangers of fireplaces. There are different qualities of bioethanol fuel and, if you use a poor quality fuel, it will produce more smell and may put you off using your fire. 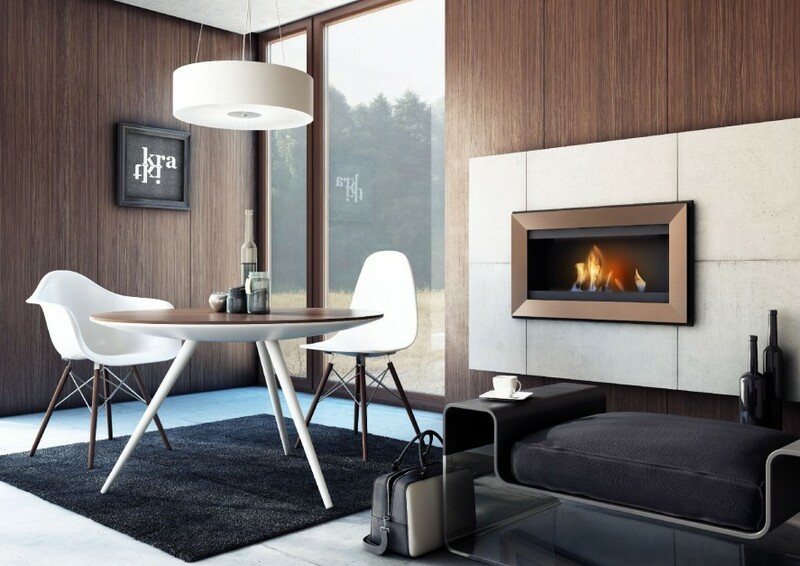 With so many styles to suit most decor, I have to admit that bioethanol fires are a great alternative for our homes. It’s even got me thinking about one of our living rooms where we have a decorative fireplace that has no fire and no chimney…..
It’d be great to hear from you if you’ve actually got a bioethanol fireplace or even if you’re thinking about choosing one yourself! Have a great week, and as always thanks for stopping by!